What are some of you favorite aspects of working as a CMA? CMA exam/ top 50 medications? Is NHA-CCMA certification as good as RMA or CMA? How hard is it to do the exam and then get a job. Have any idea of pay a receptionist makes? I lost my back office position . . .
Got an interview next Friday! 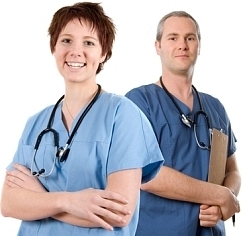 medical coding vs. medical assistant? ANYONE out there taken CMA EXAM or will? Has anybody ever went to ADVANTAGE CAREER INSTITUTE? need tips to get rid of anxiety presentationmn soon! Still trying to find work, but hopeful! JUST made test date to take the AAMA exam!? HOW DO I GET PRACTICE AAMA EXAM? Does anyone else have a HARD time finding out what pay is in your area? question about pay (should we "strike") ?